Rosetta Henderson, an SCE project manager, speaks to the media about her recent experience with a bill scammer. SCE employee Rosetta Henderson talks to Sgt. Bob Hung of the Monterey Park Police Department. Kari Gardner, SCE manager of Consumer Affairs, speaks to the media about ways to stay safe from bill scammers. Sgt. Bob Hung of the Monterey Park Police Department advises customers to confirm phone numbers when they receive suspicious calls. Kari Gardner (left), SCE manager of Consumer Affairs, Rosetta Henderson, an SCE project manager, and Sgt. Bob Hung attend a recent business summit to discuss bill scams. This year alone, 228 customers have been victimized with a loss of $227,982. Rosetta Henderson was working from home when she saw her caller ID light up with the words “Southern California Edison.” On the other line was a utility phone scammer asking for immediate payment of a late bill or her lights would be turned off in 30 minutes. What the caller didn’t know is that Henderson is an SCE employee and well aware of the current utility scam affecting some customers. She decided to play along. She told the scammer she didn’t own any credit cards. The male voice told her she could wire the money or purchase a prepaid cash card. And she could get them at her nearby Walmart. With those instructions, the scammer said he’d call her back in 30 minutes to process her payment. A female scammer called her back 32 minutes and 30 seconds later. It was then that Henderson told them she was an SCE employee. The scammer hung up right away. Like Henderson, 3,623 SCE customers have reported receiving similar scam calls so far this year. Of those, 228 have become victims with a total dollar loss of $227,982. Art Chico, SCE Corporate Security, says he usually gets about 200 to 300 calls a month from customers reporting scam calls. But in May, he received about 1,500 calls from customers with 90 being victimized by the scam. 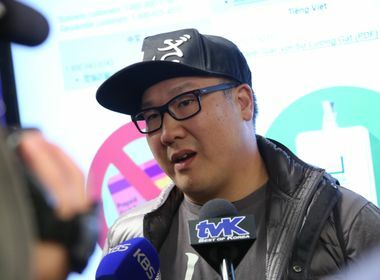 “I tell our customers to tell their friends, co-workers, family and neighbors what happened to them so they don’t fall victim themselves,” he said. He notes that SCE will never call customers demanding immediate payment and threatening to cut off electrical service. And SCE never asks for payment using prepaid cash cards. Sgt. Bob Hung of the Monterey Park Police Department notes that law enforcement has been working with utilities like SCE to try to get the word out to the public about the utility scam. He wants customers to know that anytime they get a call asking for money or credit card information, they should be wary. They should also confirm the number by looking it up online or calling the utility’s official customer service number on their bills (800-655-4555). Henderson is speaking about what happened to her because she wants to make sure other customers don’t fall victim. In addition to reporting the incident to SCE, she also filed an official report with the Downey Police Department. “Don’t be a victim,” said Kari Gardner, SCE Consumer Affairs manager. Her advice: don’t throw your bills in the garbage since scammers can go through them and get account numbers. And call your local police department to report the scam. “Sharing this information and spreading the word to your communities is the way to avoid becoming scam victims,” she said. SCE never calls customers on the telephone and demands immediate payment with the threat of service disconnection. 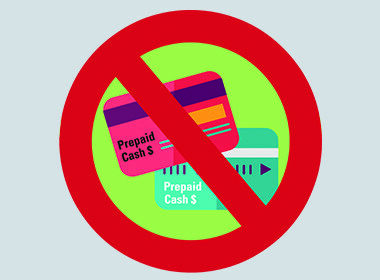 SCE does not accept prepaid cash cards for bill payments. 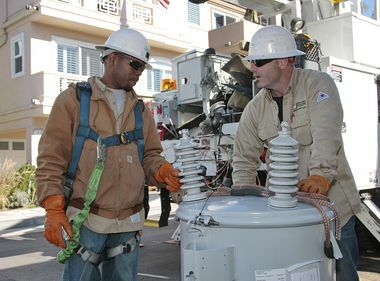 SCE does not have a Disconnection Department.